Texas Freckles: I've lost count. WOW! You've really caught the bug! I think I need to give the hexagons a try! Heh you may just have inspired me to try these out. Did you make your own paper templates? holy moly! that's a lot of hexagons! felicity and I would BOTH like to know what you're using for a template.... just regular old paper cut into hexagons? ;-) DYING to try some! 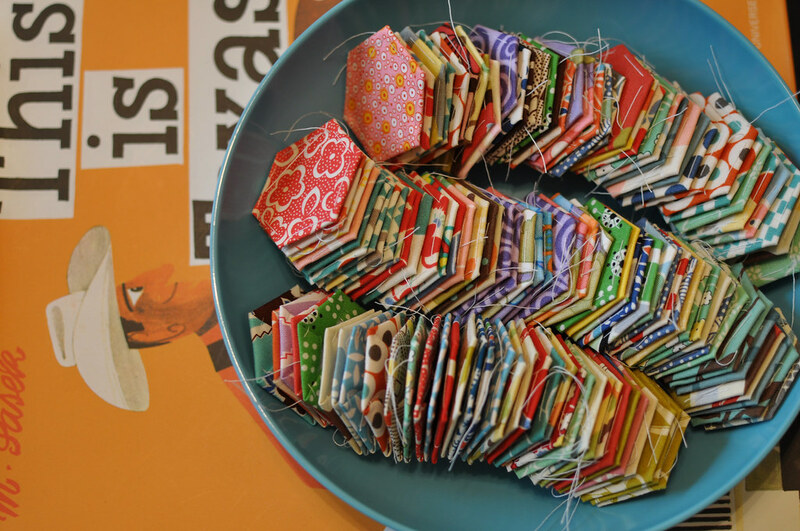 I taught myself to patchwork doing paper peicing when I was about 18. I imagine it's a nice little project to have going when you just want to sit in front of the tv.